A look at travel news and events surrounding the Labor Day weekend. Banks, government offices and courts are closed throughout the area. Post offices are closed and there's no regular mail delivery. If you're on the road Monday morning or evening, HOV restrictions are lifted in Virginia on Interstates 66, 95 and 395. Rush-hour restrictions are lifted in D.C. So are residential parking restrictions; you don't need to feed the parking meters either. There is no MARC or VRE rail service Monday. Metrobus and Metrorail are on a Sunday schedule. Trash picks in most jurisdictions skip a day this week. As summer comes to an unofficial close, many D.C.-area travelers are on the road or celebrating locally. The Maryland Transportation Authority says that more than 1.8 million motorists are anticipated to travel in the state over the weekend. More Virginians are also expected to travel this Labor Day weekend, reaching a new post-recession high for the state. More than 964,300 Virginians are traveling during the Thursday-through-Monday holiday weekend, according to AAA. MDTA says the best time to travel the Bay Bridge on Monday is before 10 a.m. and after 10 p.m.
Read more on the Bay Bridge website. The Virginia Department of Transportation will lift lane closures on most interstates and highways through noon Tuesday. Drivers can call 511 for traffic information or use the 511 app or follow one of five 511 regions on Twitter. Not sure the best time to hit the road? Use VDOT's historic travel trends map to see when travel volumes hit their peak along major highways during the past three Labor Day weekends. 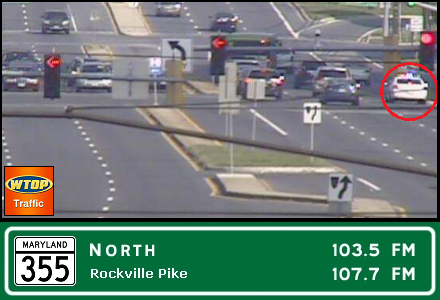 Get the latest traffic updates from the WTOP Traffic Center or follow @WTOPTraffic on Twitter. It’s another hot and muggy day for Labor Day. Monday will be humid with a 30 percent chance of afternoon storms. Highs will be in the lower 90s. For Tuesday, expect sunshine and very hot conditions as well as possibly evening storms. Highs will be in the upper 90s with heat indices of 100-105. 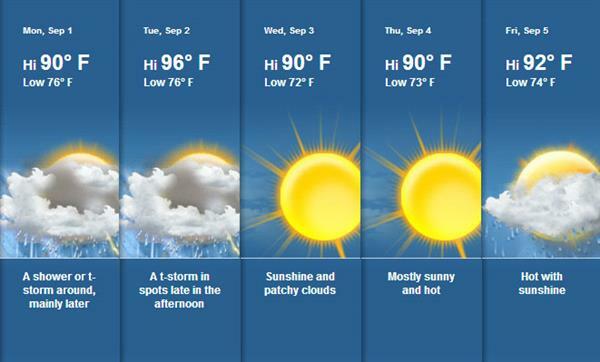 Get the full forecast from the WTOP Weather Center. Get beach traffic and weather updates on WTOP.com, too. Across the nation, lawsuits have been brought against employers who accused of violating minimum wage and overtime laws. Worker advocates call these practices “wage theft,” and say they are becoming far too prevalent, The New York Times reports. Federal and state say employers may be breaking wage laws. They cite fierce competition and the desire for higher profits as possible reasons. On this Labor Day, we want to know does your company pay you for all the work you do? Or do you feel you don’t always get paid for extra work? And has that changed during your career? Call the WTOP Talkback line at 1-877-222-1035 or use #WTOP. While Hurricane Cristobal has now been downgraded, the risk of rip currents remains at regional beaches. 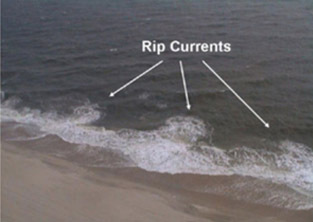 Click here to read more about how rip currents will affect your trip to the shore this holiday weekend.